What’s a bar? Many would say it’s pretty much anywhere you can sit down – or stand up – and sip on alcoholic drinks. 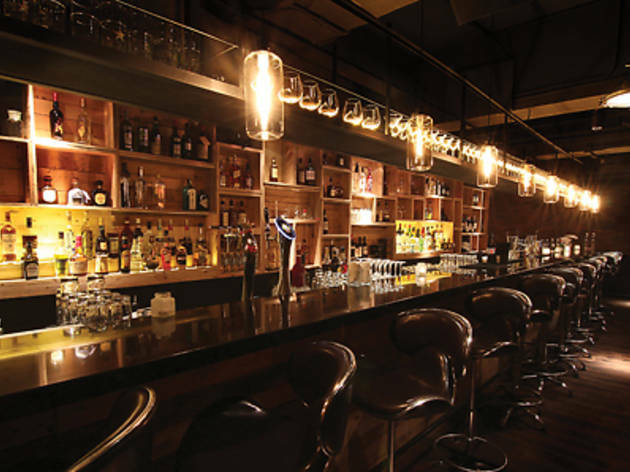 Some would say you need a physical bar to prop yourself up on while your tipples are served. Others would say you don’t even need alcohol. We say a bar can be anything as long as booze is involved somewhere along the line – and new Wyndham Street haunt Zafran personifies this: it’s a triple-concept venue, with an ace tapas restaurant and a chilled-out night lounge, but due to the fab drinks on offer, it nevertheless falls under our (pretty wide open) bar category. Zafran is Aqua group’s newest offering – a step away from its ultra-high-end spots like Aqua at Tsim Sha Tsui’s One Peking, and Armani/Aqua and Armani/Privé in Central’s luxury area. It’s a more accessible venue, geared towards the Wyndham crowd who want space, some quality tuck and some expert drinks with a DJ playing in the background. And that’s why it’s hard to classify it as a bar in the traditional sense: it’s part tapas restaurant, part drinking haven and part low-key nightclub spot all in one. The best way to get in is down a side alley off Wyndham, following the lush faux green grass walls – the ‘secret garden façade’ – to a side door. Then go in through the ‘late night lounge’, where the DJ should be spinning upbeat oft-Spanish-inspired tunes, to the bar, where you’re greeted with champion mixology staff. Further on in, there’s the open tapas bar kitchen and the dining room (where larger dishes are also available). It’s all relaxed and underground, with a cheeky-chic edge and with the restaurant sporting a slightly rustic feel to complement its ‘tapas y musica’ concept. The drinks need shouting about here. The bar is well stocked with wine, spirits and beer – but we recommend the cocktails due to the expertise on hand. Definitely try out the white and red sangria concoctions ($90 for a rustic half-litre jug). Fully charged with alcohol, the recipes change weekly, so you’re never quite sure what fruits and flavours you’re going to get. We also recommend what the staff say are ‘lesser known recipes from the past 100 years’, like the Agua de Valencia, which tantalises your tongue with its champagne and orange base, or the Bronx, a classic martini drink, also with an orange tang to it. Then there’s Corpse Reviver No 1, which cuts the back of your tonsils with its mix of vermouth and brandy, and the Penicillin, with its textured whisky-based, sweet-honey flavours (all cocktails priced $110 upwards). If tapas is your thing – and we recommend many innovative creations here – then plump for the gambas ajillo (garlic chilli prawns, $158), the Zafran homemade chorizo ($88), the salt-cod brandada, cauliflower cake and ikura ($118), and, for dessert, the huevo frito (fried egg dessert, $88), which comes out looking like a classic English fry-up but is, in fact, made up of cakes and sweets – a truly innovative and rich creation. 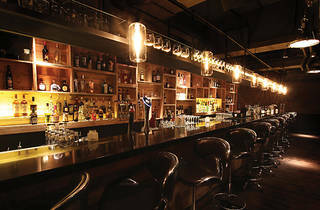 You can eat in the lounge – the music isn’t too loud – but this part of the concept is more geared towards chilling out and enjoying your cocktails in an ambient atmosphere. Conversation is livelier in the bar or in the dining room. In fact, there’s an upbeat spirit running throughout Zafran. It may be billed as a ‘tapas y musica’ spot – but the one thing that mantle doesn’t cover is the excellent cocktails and drinks on offer. And, to us, that makes Zafran primarily a bar. An exceptional one at that. Zafran Basement, 43-55 Wyndham St, Central, 2116 8855; zafran.com.hk.